When the need is for bigger but still portable commercial wet or drys, the 570 series sets entirely its own standard. First you have the full Structofoam construction, in fact a Numatic first, unmatched worldwide. Structofoam is a material formulation embodying all the strength needed for bigger machines, yet without weight penalty. It is really rugged. 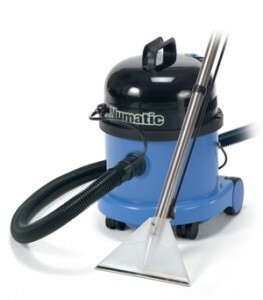 It doesn’t dent, scratch or deteriorate and yet it is light in weight and resists all standard cleaning chemicals. plugged, replaceable cable system as standard.